There are some books that stick with you no matter how long it has been since you first read them. For me, the Dream Trilogy has always been in the back of my head. I probably read them a good 15 years ago and the last time was a good 10 years back. As a matter of fact, that trilogy was part of the first round of books I purchased when I got my first kindle for my 24th birthday (I never actually read it after buying the digital version; I guess I just needed to know that I could read them if I wanted. 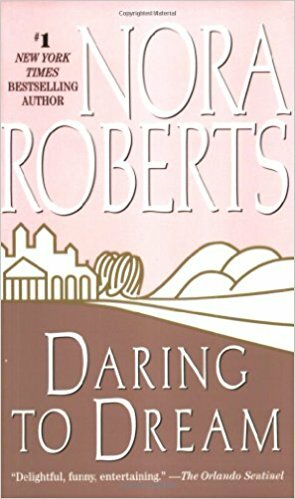 The first book of the trilogy, Daring to Dream, was released in 1996 when I was just 10 years old and more concerned with passing math (I did, but not without many a night of struggling to remember what the E in PEMDAS meant) than I was with the goings on of fictional characters inside the pages of a book. In fact, if I read at all during that time period it was to get a free pan pizza through Pizza Hut and the Book It! program. I've mentioned this a few times before, but I actively hated reading as a kid. If 10 year old me could see me now, she'd be appalled. How could I be so boring as to prefer reading to watching television or a good movie? Writing about how much I love books? I don't think that would have even entered my mind. This trilogy along with Harry Potter changed all that. 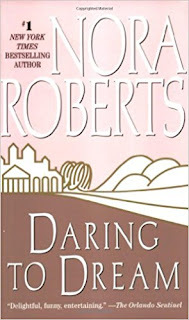 I'd read a few other romances before picking up Daring to Dream at the library's book sale, but that book taught me that reading "adult" books could be so much more enjoyable than all of the Babysitter's Club books I'd read just a couple of years earlier. Margo Sullivan is at a turning point in her life--the modeling career she's spent a decade building is crumbling at her feet, creditors are hounding her, and the police think she might have something to do with drugs being smuggled into multiple European ports. Needing a break, she returns home to Templeton House, where she'd spent her childhood with her friends/sisters, Kate and Laura. As the daughter of the housekeeper, she knew she was never quite as good as her friends, who were legitimate members of the household. She'd dreamt for more than the life her mother wanted for her and now her dreams have been torpedoed, forcing her to start over again. After sulking for a few weeks, she decides that the answer to her problems is to open a shop to sell her precious belongings. Josh Templeton has been in love with Margo for as long as he could remember, but he's never done anything about it. She was his sister's best friend and four years his junior, making her inappropriate. Everything changes when Margo winds up in legal and financial trouble. Josh hates to see her struggling and vows to protect her and when he finally sees his chance at a happy ending with her, he jumps at it. Roberts, Nora (1996-08-01). 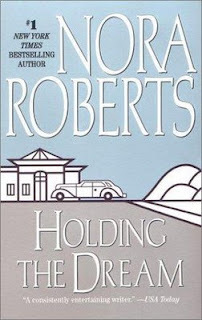 Daring to Dream: The Dream Trilogy #1 (p. 248). Penguin Group. Kindle Edition. Kate Powell is on the verge of having everything she ever wanted--a partnership at one of the best accounting firms in the country and the respect of the family that took her in when her world was turned upside down at the age of 8: Susan and Tommy Templeton. Just as the partnership is within her grasp, Kate learns a secret about her father that shakes her to her core and makes her wonder if blood truly does tell. Just as she thinks things can't get any worse, she's accused of doing the exact same thing her father did, sending her life into a tailspin of grief and fear. Byron de Witt is the new head of Templeton Monterey, the hotel owned by Kate's aunt and uncle. With his good looks and his intelligence, he is every girl's dream, but Kate hates him on sight. He's too good looking and everyone knows good looking men are sleazy and will break the hearts of anyone who makes the mistake of falling for them. Before long, Byron disabuses Kate of this notion and she finds herself slowing falling in love with him. Of the three books in this series, this is the one I remembered the least when I began the re-read, most likely because of Kate's love of math. As I mentioned above, math and I were not friends, frienemies from time to time (I rocked proofs, so much so that my math teacher once asked me if I cheated on the test because I did so much better than usual), but never friends. Her love of math would have made Kate extremely unrelatable to me back when I firmly believed that the quadratic equation was a torture device and should have been declared unconstitutional for violating the 8th Amendments protections against cruel and unusual punishment. One of the first things I noticed about Kate this time around was how much she's like another one of Nora's heroines--Eve Dallas of the In Death series. Both are extremely literal, experts in their field, have boyish figures, and don't understand girly things like makeup and wearing dressy clothes. Of all of Nora's heroines, these two are probably the most alike. I can't believe I'd never noticed this before. When Laura Templeton married Peter Ridgeway when she was 18 years old, she thought her dreams had come true. She had the loving husband she'd always wanted and was on her way to having the life she wanted--her parents' life. It didn't take long for her to realize that her marriage wasn't as solid as she'd thought and her dream life wasn't the perfect replication of the life her parents had found in each other. If there was one thing she knew, however, it was that marriage took work and if she had to work a little harder to have the life and love she wanted, so be it. Then, it all came crashing down around her: Peter never loved her or her children. He'd used her to get ahead in his career. She could have dealt with his betrayal of her, but not the betrayal of her children. Over the next two years, she gave up on the idea that she'd ever find the dream life she'd wanted as a young woman. When Michael Fury re-entered her life, she did not have time for her brother's wild friend, no matter how much he made her ache. For Michael, Laura was everything he could never have. She was beautiful, rich, and his best friend's little sister. He's the mongrel son of a hotel maid, who has done more things that he regrets than Laura could even imagine. Sure, they're attracted to each other and compatible in bed, but there's no way she'd want to be with him for the long term. ‘‘You yelled at her.’’ Wincing, he looked over to see Kayla still astride, her eyes huge and fascinated. He’d forgotten he had an audience. ‘‘Nobody ever yells at her. Mama has a couple of times, but she always says she’s sorry after.’’ ‘‘I’m not sorry. She deserved it.’’ ‘‘Would you really spank her?’’ Gray eyes glittered. ‘‘Would you spank me if I was bad?’’ There was such a poignant wistfulness to the question that Michael gave up. He plucked her out of the saddle, held her hard. ‘‘I’d whale the tar out of you.’’ He gave her bottom a light pat. ‘‘You wouldn’t sit down for a week.’’ She squeezed harder. ‘‘I love you, Mr. Fury.’’ Hell, what had he done? ‘‘I love you too.’’ Which was, he realized with some amusement, the first time he’d said those words to a female in all of his life. ‘‘I was pretty hard on her,’’ he murmured, as the picture of Ali’s unhappy face swam into his mind. And guilt seeped into his heart. 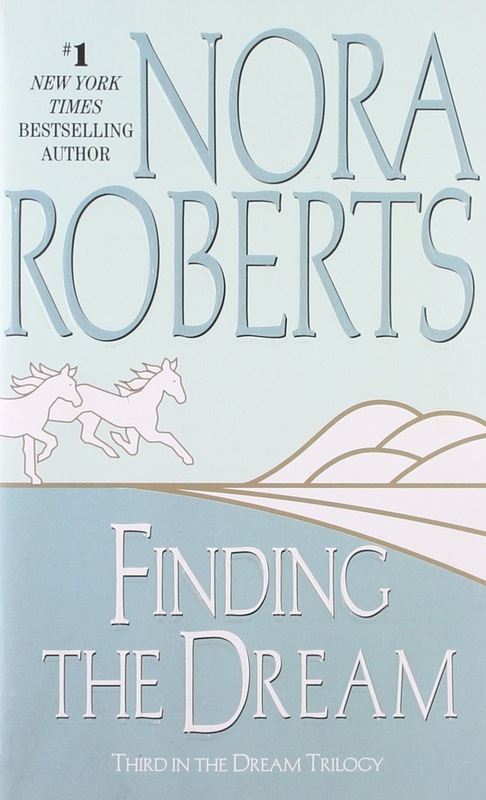 Roberts, Nora (1997-08-01). 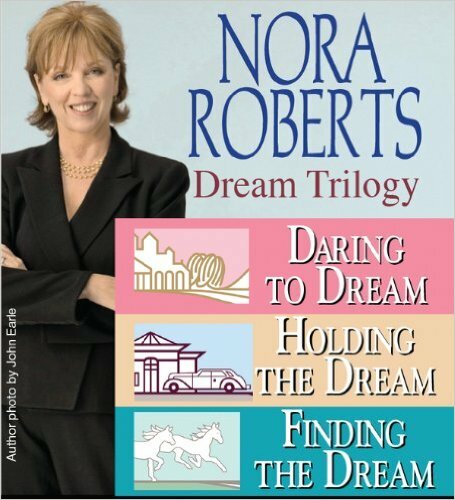 Finding the Dream: The Dream Trilogy #3 (pp. 165-166). Penguin Group. Kindle Edition. First off, I don't think that Michael would actually have spanked either of Laura's children, but if he did, it would actually hurt him more than it would hurt them. He just does not have that in him. What pulled at my heart was how much those girls needed a father figure and without even thinking about it, Michael filled that role for them. He loved them even before he fell for Laura and in a way it was easier for him to love those children than it was for him to love Laura. 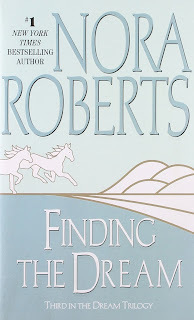 Roberts, Nora (1996-08-01). Daring to Dream: The Dream Trilogy #1 (p. 48). Penguin Group. Kindle Edition. Today, Margo wouldn't bat an eye at the idea that Kate had access to all those things, although if she pulled those exact items today, she'd think Kate was a dinosaur. 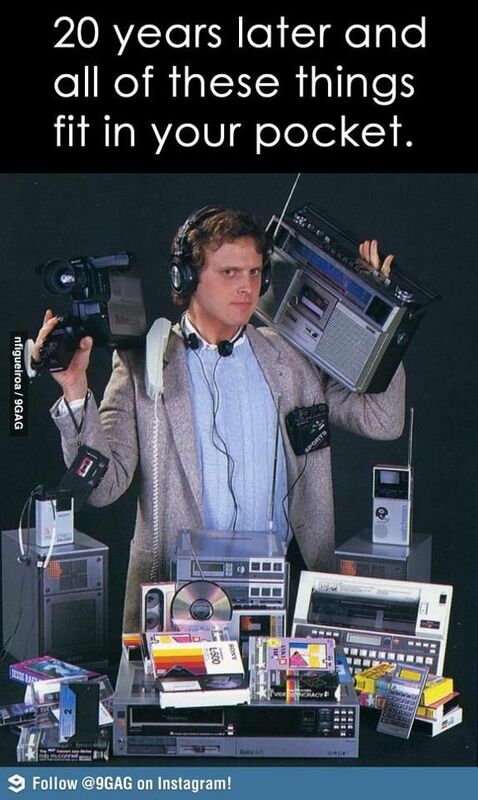 Nowadays, all you need is your iPhone (or android/Windows phone) and you'd be good. It was so odd to think that Kate carried around a fax machine. Was it a mini-fax? How the hell big was her briefcase? 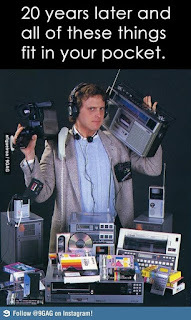 Even a the mini-laptop that Margo mentioned would be huge and heavy by today's standards. 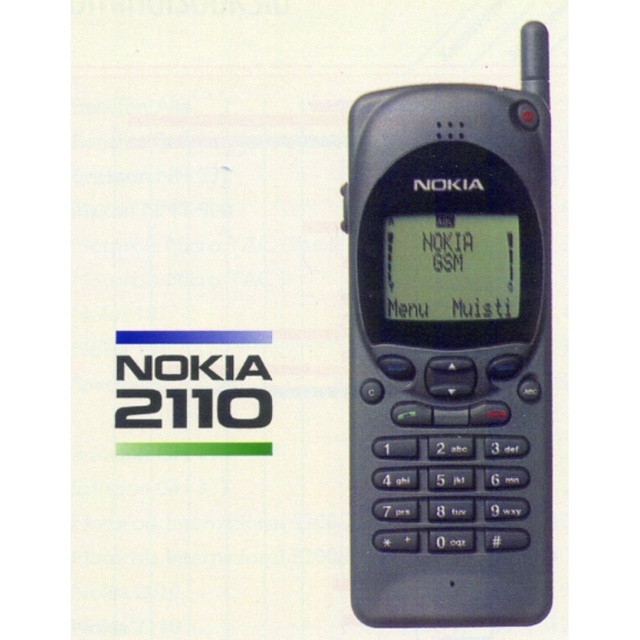 Also, there was only one mention of anyone having a cell phone and I could only imagine it was one of those huge brick-like phones everyone had in the early 2000's. I wonder if Kate liked to play Snake as much as I did? Could you even imagine pulling out one of these babies today? Even with the 3310 coming back, people would still look at you like you were insane. Who would want this when your iPhone holds pretty much anything you could ever want? Plus, having to hit the same button multiple times to text one letter? No, thanks.